The Melbourne chapter of SYA has had a busy 6 months! In early May Melbourne ran its first SYA-Impact volunteer session. This was a perfect opportunity for the Melbourne sangat to learn more about SYA and what we do. Over 30 people attended the session and a large number registered their interest to be part of the wider SYA community. The volunteer initiative has led to the establishment of a Events and Marketing teams now in Melbourne. With a new team in place the focus turned to our Culture Care Clinic at Hoppers Crossing Gurdwara. It was a fantastic turnout from the sangat - with over 140 people undertaking the free health screenings in mid June. 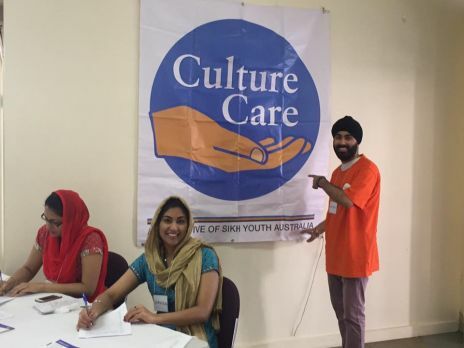 The month of August saw SYA Melbourne, host its first Mighty Khalsa Fun Day at Blackburn Gurdwara, with over 55 kids in attendance, this exceeded our expectations! attributing the fantastic turnout to the great work by our marketing and comms team. It was a fun afternoon had by all, with kids taking part in art's and craft, ball games, learning about our Mool Mantar, Simran and story time sessions. In the background, preparations are underway to kick start planning our next Culture Care session and also assessing ideas from our wider volunteer team - with a PC / IT workshops for the not so tech savvy in our community on the agenda.